This is in light of the deadly 2017 wildfires which devastated large regions of California. During the devastating fires some people were unable to evacuate because they could not get their vehicles out of their garage. This prompted lawmakers in California to require all garage doors to have a battery backup that will provide power to the garage door in the event of a power outage. The goal of this law is to prevent deaths related to lack of proper garage door function. The Door Access System Manufacturing Association (DASMA) was the only formal opposition to the new law. DASMA has been helping garage door professionals and consumers stay informed and safe since 1996. Why would DASMA oppose a bill that could potentially save lives? DASMA, in true DASMA fashion, is once again out to protect garage door companies and consumers. DASMA made several valid points in their objections to the new garage door law. 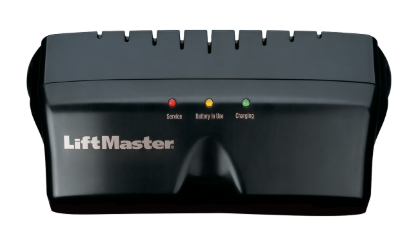 – First, garage door openers with backup batteries are not designed to serve as life saving devices. – Secondly, “battery backup systems require regular maintenance” and “must be regularly tested and periodically replaced.” The California Senate agreed with DASMA’s assessment and stated that the batteries would likely need to be replaced every three years. While DASMA is the only entity that filed a formal written objection, there are many others who object to the new law. Large numbers of garage door repair and installation companies in California were not big advocates of the law. Many (likely a vast majority) garage door repair companies feel as though the new law will give an unfair advantage to garage door repair companies that operate illegally. 1. They setup a business listing online with a phone number that can be forwarded to another phone number. (Usually they will set these online listings up under a business name that is similar to another reputable local garage door company.) The phone number will then forward all calls to a call center located outside the state. 2. The out-of-state company, whose real business name you will likely never know, will then dispatch a repair technician to your property. This technician lives in the same state but is likely not licensed. 4. Eventually their tactics will catch up to them and they will get a bad reputation. (Keep in mind, they will create false reviews to cover up their negative reputation) Regulatory agencies may receive reports of their deceptive practices and start to investigate. Search engines may finally remove their listing. (This can take years) However, these garage door companies will simply shut down the fake business entity. They really don’t mind shutting down their fake entity because they likely have dozens, sometimes hundreds, of other business listings under other business names. They will simply run the same ruse under one of their other business names and numbers. This new law gives companies that are willing to break the law, a competitive pricing advantage over the companies that abide by the law. The companies that abide by the law will be forced to give higher estimates to compensate for the cost of the required battery backup unit. There is a $1000 fine for each garage door that is installed without a battery backup unit, the illegal companies are not too worried about the fines. The illegal companies know they will be very difficult to track down due to the fact they: hide behind fake business names, use phone numbers to cloak their identity, send anonymous repair techs, and are also headquartered outside of the state. All of those factors make it difficult to hold them accountable for their lack of compliance with the new law. This law was intended to help individuals who have difficulties opening their garage door once the release rope is pulled. The release rope, when pulled, allows the garage door to be opened manually even if there is no electricity. The individuals that have trouble opening a garage door when the release rope is pulled will most likely be the elderly or disabled. Those two groups of people are likely already have financial complications or are on a fixed income. Therefore, they are the least likely to be able to afford a replacement battery or proper battery testing-maintenance. This could lead to two potentially dangerous situations for those individuals. The first of which is, a new garage door may be even further out of reach for them with their limited budget and so they keep an improperly functioning garage door longer than they should. The second of which is, they will be more likely to fall into the hands of illegal garage door companies because of their lower prices. Law abiding companies will certainly lose more revenue will which go to the lower cost illegal garage door companies. Adding in an additional measure so the new law can be enforced properly is imperative. If every garage door purchased in the state required an individual to have garage door repair and installation license it would allow installations to be tracked. If the individual does not have a license, they would be required to provide an ID and sign an affidavit stating the garage door is for personal use and not commercial purposes. All purchases could be put into a state database that would allow officials to track who is purchasing garage doors. If one individual has purchased 20 doors for personal use at their home, it is likely they are installing garage doors without a license or reselling the doors to other unlicensed garage door installers. This sort of measure would help ensure the law is enforced fairly and it would also really help eliminate unlicensed garage door repair companies. We are huge advocates of garage door safety. Our company loves that California is taking steps to protect people from harmful situations related to garage doors. However, there are many things that need to change regarding this law before it is comprehensive enough to protect people without significant collateral damage. If you have any questions regarding the new California battery backup law, do not hesitate to call us. We look forward to answering any questions and helping you in any way we can.